Sales launch for preconstruction townhomes in Maple Ridge are now beginning for the new development at Copperstone Ridge. Move in May 2008! The grand opening is set for Sunday, April 20, 1:00 – 4:00pm. Executive Copperstone Ridge townhomes in Maple Ridge are located in the heart of the city and start from only $369,900. Register online today for our VIP event and an opportunity to select your new pre-sales home in Maple Ridge before the general public can select. www.copperstoneridge.ca. Live GREEN in the heart of the city. 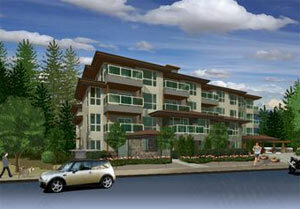 The Copperstone Ridge townhomes are located at 22206 124th Avenue in Maple Ridge BC. Marketed by Pat Drummond of Royal LePage Brookside and you can contact Copperstone town homes at 604.466.4555. Copperstone Ridge has only 29 townhomes so every presale Maple Ridge home is a rare real estate purchase opportunity for you, the homebuyer. Open Saturday and Sunday between the hours of 1 -4pm and priced from just $369,900, these new Maple Ridge townhomes are located at 22206-124th Avenue in maple Ridge (with the showhome off Hillside). Living green in the heart of the city is what the new Copperstone Ridge townhomes can provide residents. Phase 1 of this new Maple Ridge property development will be ready for occupancy in May 2008! Just walking distance from everything that matters to you most includeing commuter routes and public transportation, in addition to awe inspiring views fo Golden Ears Mountains and being surrounded by nature, the Copperstone Ridge townhouses in the new Maple Ridge real estate market are going quickly. In addition, there is no need to do any upgrades, as everything is standard at this well built and constructed town home development at Copperstone Maple Ridge properties. With granite, hardwood, stainless steel, tile, floor to ceiling slate fireplaces and much more, the townhomes at Copperstone Ridge will also come equipped with double car garages, three or four bedroom townhouses with baths, finished basements, and as you know, Maple Ridge real estate is still the best investment in property in the Lower Mainland. Energy efficient and built GREEN so that the Copperstone Ridge townhomes are definitely good for the environment. Contact Pat D. at 604.466.4555 anytime for more information. Built on LEED (Leadership in Energy and Environmental Design) principles for environmentally sustainable construction, you, as a new home owner at the Maple Ridge Copperstone townhomes will play your part in purchasing a new home that is energy efficient and environmentally sensitive. The energy conservation and Built Green features of the pre-construction Copperstone Ridge Maple Ridge real estate development features three and four bedroom townhomes floor plans that also include three or four baths. With high end finishings and mountain views with large community and private green spaces, the pre-sale Maple Ridge Townhomes at Copperstone Ridge are truly amazing. Urban life just up the hill with private fenced yards and greenbelt behind sixty per cent of the new Maple Ridge townhomes, this real estate development also features floorplans with double car agarages and fully finished basements for rec and media rooms. Insta heat hot water and heat exchange systems are intergrated into these new efficient and modern Maple Ridge Copperstone Ridge townhomes as are slate entrances. Some of the interior features of the pre-sales Maple Ridge townhouses include over sized showers in the master bath with heated tiled flooring in addition to porcelain tiled floors and vessel sink in powder rooms. The kitchens at Copperstone Ridge townhomes will feature a garburator, designer décor faucets, granite counter tops (in bathrooms too), quality EnergyStar stainless steel appliances. Other living space features at the pre-construction Maple Ridge copperstone townhouses include floor to ceiling slate fireplaces, hardwood floors in the main floor area as well as cradle to cradle shag carpeting. Copperstone Ridge townhomes features four different types of layouts for these luxurious new Maple Ridge townhouses for sale that are all located online at http://copperstoneridge.ca/index.php/floorplans/ as downloadable PDF documents. Living green in the heart of Maple Ridge real estate market is now available at Copperstone Ridge townhomes located at 22206 124th Avenue and the sales centre is open daily from one to four. Surrounded by nature, great shopping, recreation, schools and commuter routes, the pre-sale townhomes at Copperstone Ridge features a close proximity near Golden Ears Park, Spray Park, Dykes, Allouette Elementary and Mount Crescent Elementary Schools, M.R.S.S., city library, Haney Place Mall, West Coast Express and Act Theatre and Leisure Centre. The East Vancouver Blossom Cityhomes are now selling studio to three bedroom pre-construction condos at great pricing and location! Getting ready to open the doors of their presentation cetnre, Blossom East Vancouver condominiums is a collection of 43 pre-construction Vancouver East condos homes plus one detached townhouse for sale. Featuring a broad selection of one, two and three bedroom suites above ground level retail, the pre-construction East Vancouver Blossom condos and townhome for sale is located at 707 East 20th Avenue and is a rare opportunity to purchase a brand new pre-construction Vancouver home in this emerging neighbourhood. Prices at the pre-sale Blossom East Vancouver condos are anticipated to start in the mid $200,000s. Watch for the grand opening of the pre-construction East Van Blossom condominiums presentation centre located at 3497 Fraser Street (at 19th Avenue) coming in late November. For more info and to priority register, please contact Michael at 604.780.6468 or you can visit www.blossomliving.ca to register online. 10 Blossom Homes Sold In August - Only 4 East Vancouver Homes Left! There is still a great selection of Blossom East Vancouver homes for sale available but time is running out. We invite you to visit our East Vancouver real estate presentation centre again to see why home buyers are excited about living at Blossom Condominium apartments! Lifestyle in Full Bloom here at the Blossom East Vancouver condos for sale: extremely affordable, high quality materials, modern flair, and timeless style and innovative and unique design floorplans, maximizing views and living space. In addition, the affordable East Vancouver Blossom condos are centrally located only a 5 minute drive from Downtown Vancouver. Blossom Vancouver condos are also walking distance from the library, schools, hospital, parks, community centre and more. Here is the latest update on available suites at the East Vancouver real estate development: Suite 308 which is a 1 bed + 1 bath at 609 square feet is now priced at an affordable $278,900 while Suite 315 is a 2 bed + 1 bath East Vancouver condo for sale with 783 sq ft and priced at $375,900. Other available suites at the presale East Vancouver condos at Blossom Living include Suite 202 which is a spacious 3 bed + 2 bathroom unit of 949 interior square footage and priced at an amazing $415,900 while Blossom Penthouse 5 is 2 bed + 2 bath with 753 sqft and asking $375,900. The latest sale at the East Vancouver Blossom condos development is Penthouse 11 which was an available two bed and two bathroom unit of 795 square feet priced at $395,500. New Presentation Hours starting Saturday, September 19th will be: Saturday to Sunday:12pm - 6pm as well as Monday to Friday: by appointment only. The affordable East Vancouver condos for sale at Blossom Presentation Centre is located at #3497 Fraser St. (19th and Fraser). Call 604-780-6468 to book your private appointment. Blossom Condo Living at Fraser & 20th - The Comfort and Lifestyle You Deserve! The Blossom Team - mail@blossomliving.ca or www.blossomliving.ca. *The prices at the affordable East Vancouver Blossom condos for sale are for a limited time only. Limitations apply. Prices at the affordable East Vancouver condos for sale are subject to change without notice. Prices do not include applicable taxes. Contact a sales representative for details. Sales by Disclosure Statement only. Welcome to Blossom East Vancouver Condos! We would like to thank you for taking the time to pre-register for the preconstruction East Vancouver Blossom condominium homes. You will now receive any news of the East Vancouver real estate development as well as an invitation to our VIP Sales event. In the meantime, if you have any questions please feel free to contact us we would be glad to answer any of your real estate needs. Warmest Regards, Michael. 604.780.6468 | mail@blossomliving.ca | www.blossomliving.ca. The East Vancouver Blossom Condo Presentation Centre is located at 3497 Fraser St. (at 19th Ave) and the location of the project site is at 707 East 20th Avenue. According to the marketing website, this is a centrally located Vancouver property development that features all the conveniences in an urban setting. With affordable Vancouver Blossom apartments for sale, these forty three city homes are carefully designed in terms of features, layout and finishes to make sure that you have the best of all worlds. The presentation centre is now open for the central Vancouver Blossom apartment condos at 3497 Fraser Street at 19th Street in the city. The actual development site for these affordable Vancouver condos at Blossom Living is at 707 East 20th Avenue. Close to public transportation and other commuter routes, getting to and from work/play is a sinch. In addition, you will have the urban convenience of shopping and dining just outside your door. With high quality materials and finishes and timeless design, home buyers at the new Vancouver Blossom apartment condominium cityhomes will enjoy a carefully crafted home that will include custom designed kitchen cabinetry, stainless steel appliances, top quality granite counter tops and laminate flooring. 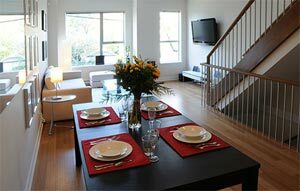 Here at Blossom Vancouver real estate development there is a mix of owner occupied and rental apartment suites. Unit Townhome 1 is a junior three bedroom Blossom townhouse for sale that includes two bathrooms and a square footage of 1005 sq ft on the first level. All of the other units on the ground floor at the central affordable Vancouver condominium development are rental suites that include 7 suites ranging from 623 sq ft all the way to 894 sq feet in size. On the second floor of the pre-construction Blossom Vancouver condos, you will see a range of one bedroom and den units from 612 sq ft as well as two bedroom (with 1 or 2 baths that range from a spacious 783 to 1119 square footage. The larger suites on the second floor of the pre-sale Vancouver Blossom apartments are junior 3 bed condos or regular three bedrooms that reach 1003 sq ft. The pre-construction Blossom city homes penthouse suites are also very large with studio to three bedroom plans for you to choose from. You’re invited - Blossom Vancouver Condos for Sale at Fraser & 20th Grand OPENING! Blossom Vancouver apartments for sale is offering Special Spring Pricing on select units to our Pre-Registrants: 1 bedrooms pre-sale Vancouver apartments starting at $256,500 and presale 2 & 3 bedroom starting at $339,900. Do not miss out on your opportunity to move into one of Vancouver real estate's most friendly, up-and-coming neighbourhoods! The new Vancouver apartment homes are selling quickly, so don’t delay. Visit our Vancouver Blossom apartment sales centre located at Fraser & 19th (3497 Fraser St) to choose your new home! We’re open daily from 12-6PM. Feel free to call us at 604-780-6468 with any questions. Blossom Condos at Fraser and 20th Street Vancouver Now Selling! NEW SPRING PRICING! The new Vancouver homes for sale at Blossom Condo Living are selling very quickly, so don't delay. One bedroom East Vancouver condos for sale start at $256,500* Plus, two and three bedroom East Vancouver apartments for sale at Blossom Condominiums start at $339,900* Do not miss out on your opportunity to move into one of East Vancouver real estate's most friendly and up and coming neighbourhoods! The Blossom Condo Presentation Centre is located at 3497 Fraser Street at 19th STreet in Vancouver, BC. The Sales Office for these new East Vancouver homes for sale at Blossom Condos is open noon to six daily and you can call 604.780.6468. Brought to you by Macdonald Realty Westmar. *Offer for a limited time only. Pricing subject to change. New Cul-de-Sac Maple Ridge Condominiums are now selling at the Pre-Sale Ridge Apartment Condos with views of Mount Baker and the Fraser River! Boasting views of the Fraser Rvier and Mount Baker to the south and of Golden Ears to the north, The Ridge condominiums in Maple Ridge real estate market offers 27 stylish pre-sale condos homes with 17 floor plans to choose from. Suites pre-construction at Maple Ridge condos range from 653 to 1093 square feet and include features like nine foot ceilings, granite counters, engineered laminate hardwood flooring plus crown moulding in living room and dining area. Kitchens at the presale Ridge Maple Ridge condo homes feature maple or cherry horizontal grain and wood cabinetry, classic slate flooring, and top of the line appliances. The pre-construction Maple Ridge condominiums are found at 22190 Cliff Avenue in The Ridge Condos. For more information, call Bill Humphries at 604.461.2844, or you can visit the web site at www.bytheridge.com. It’s Easy to Come Home To The Ridge Apartments! Imagine a new Maple Ridge home where you will find the perfect balance of small town charm, outdoor adventure and urban convenience. The pre-construction Ridge Maple Ridge condo apartments offers you only twenty seven condominium residences featuring seventeen unique floor plans to choose from for home buyers. The Ridge apartments are nestled on a cul-de-sac overlooking a future park and enjoys views of the Fraser River and Mount Baker to the south and the Golden Ears mountains to the north. At the pre-sale Maple Ridge condo apartments you will find a presale home that fits you just right. Every affordable Maple Ridge home is designed with comfort and style in mind and provides one of the best values and affordability on today’s real estate market. Commuting is made very simple here at The Ridge apartments in Maple Ridge BC. Whether you travel for business or pleasure the commute will be shorter from The Ridge with its handy access to the new Golden Ears Bridge and Pitt River Bridge opening in the summer of 2009. The West Coast Express offers effeciient commuter rail service and is within easy walking distance from the pre-construction Ridge condo apartments. Bus routes and easy highway access is at your door step at this Maple Ridge real estate development. The downtown business core is only blocks away. Beyond the boundaries of your Ridge Maple Ridge home, the City offers a deep rooted community with both natural and urban amenities. The 44 parks enable Maple Ridge real estate to maintain its peaceful rural beauty, ideal for recreational daytrips or camping. All parks are within a 25 minute drive from town centre and includes the fabulous Golden Ears Provincial Park. Golf anyone? The Maple Ridge apartment condos are close to seven scenic golf courses to satisfy your golf needs. Maple Ridge is also considered the horse capital o BC offering over 100 km of beautiful trails caterint all levels of riders. Leisure cyclists and professional racers have been enjoying the Maple Ridge real estate trails for years. The easy access to miles of dykes and the Trans Canada Tril provides a great venue for Maple Ridge apartment residences a pleasant walk, run or cycling experience. It’s easy to see why outdoor enthusiasts would make their home at the pre-sales The Ridge condos. According to the Maple Ridge apartment website, distinctive architecture has created residences of uncompromising quality and style. Suites at The Ridge pre-construction apartments in the Maple Ridge property market range in size between six hundred and fifty three to a generous one thousand and ninety three square feet. The rain screened building comes with a 2-5-10 year National Home Warranty for your peace of mind as a homebuyer. The standard features in every home at the Ridge Maple Ridge apartments include: interior doors raised 4 panel provincial, electric baseboard heaters, larger windows for natural light and electric fireplaces. In addition, the pre-sales Maple Ridge apartment homes feature stainless steel appliances, crown moulding in living room and dining areas, window casings to match door casings as well as engineered hardwood laminate with extra sound proofing. The Ridge pre-construction Maple Ridge apartments also feature standard nine foot ceiling heights, large tiling through the kitchen and entries as well as granite counters in the master ensuites and kitchens. 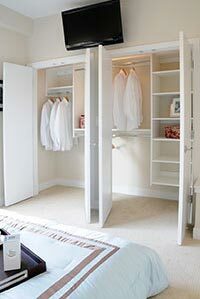 The sales staff allows you to choose from two designer colour schemes for your new Maple Ridge apartment home. The nine foot ceilings throughout create a very open floor plan providing lots of natural light into your new home. Over sized stone floor tiles greet you at the entrance and high quality engineered laminate floors in the main living areas are high-end and contemporary. The pre-construction Ridge Apartments in Maple Ridge real estate market also come with electric fireplaces. Horizontal grain cabinetry, stinaless steel pulls, and classic slate flooring are the standard features here at the Ridge apartments. Full height showers, oak cabinets and granite floors are features of the master ensuites here at the pre-sales Maple Ridge condos. A main floor amenities room is available for meetings and entertaining guests. There is also a secure underground parking garage. Imagine a home wehre you will find the perfect balance of small town charm, outdoor adventure and urban convenience. 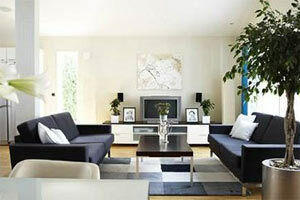 Come home to The Ridge Maple Ridge apartments where you will find warm finishing touches and top quality workmanship. Standard features include: At The Ridge you’ll find a home that fits you just right. Every new Maple Ridge home is designed with comfort and style in mind and provides one of the best values in today’s Maple Ridge real estate market. Contact the sales office today for more information regarding The Ridge apartments. Sales agents by Royal LePage Showcase Plus are at 3137 St. John Street in Port Moody and you can call Bill, Elaine and Gina at 604.461.2844 or you can email info@bytheridge.com. The pre-sales Maple Ridge apartment homes address is at 22190 Cliff Avenue. I want to thank everyone for their registration to "The Ridge". Some of you have been very patient in waiting for information as we had an overwhelming response to our sign on the By-pass, in Maple Ridge. We are now ready to sell the units as we've received the disclosure statement and hope that your interest is still the same. Please find attached a price list and of course our features are still on the web site www.bytheridge.com if you log on and it still says coming soon, that is because selling now will not appear until after Monday. We wanted our registrants to receive the first copy of the price list and floor plans. We are also offering the first five clients a discount! If you have any questions; you now have my e-mail address or my direct line is 778-896-9572. Look forward to speaking with you soon and have a great day! Vancouver real estate has never seen a neighbourhood like this. While the city has managed to balance residential and entertainment land uses in areas such as Robson and Davie Streets, Vancouver city planning director Brent T. says that the future Vancouver hosuing development at B.C. Place Stadium will break new ground in redefining livability. Some 1,200 residential units are expected to rise at the stadium’s site at the northeast end of False Creek, a district that Toderian noted will become an entertainment, sports, and cultural centre. At present, this Vancouver downtown real estate housing area houses GM Place, the Edgewater Casino, and the Plaza of Nations, which will soon be the new home of the Vancouver Art Gallery. Noise, traffic and lack of community amenities are some of the challenges future residents will face. Obviously, these housing units aren’t for everyone. “It’s going to be a different kind of buyer here,” Toderian told the Georgia Straight. “It would be seomeon with a very urban perspective, someone with a high tolerance and even interest for that kind of environment, individuals who are choosing to live in what would ultimately be an entertainment and cultural district. If you want peace and quiet, it would probably not be your first choice.” Not too many families with children are likely to settle at the Vancouver Stadium real estate site. “You might end up with more singles, you might end up with units where there’s even a market cachet for being associated with the stadium,” Toderian said. Aside from the 700,000 square feet of housing spaces, the B.C. Pavilion Corporation, which operates BC Place for the provincial government, will also develop another 700,000 square feet of commercial space. On October 30, Vancouver city council approved PavCo’s proposal to upgrade BC Place, including the installation of a retractiable roof, at no cost to the city. However, this would entail an amendment to the False Creek North Official Development Plan to allow the provincial Crown corporation to undertake real estate development. According to a city flyer handed out during an open house event regarding changes to the development plan of the Stadium downtown Vancouver site, a three to five storey podium will be put up at the west side of the stadium. Above this base will rise three towers of eight to 10 storeys. A tower of 21 to 27 storeys is also proposed on the east side of the stadium site. A city staff report submitted to council noted that BC Place Stadium sits on 6.78 hectares of property, of which 2.93 hectares is undeveloped land. Udner the deal, approved by council, there will be no provisions in the amendment of the development plan for family suitable housing and affordable housing. The deal likewise doesn’t allow the city to collect a community amenity contribution from PavCo to fund parks, child-care spaces, and other items of public benefit, even though the provincial government has consistently boasted of a budget surplus. “Staff agrees that the Stadium rehabilitation should be considered the only public benefit because the Stadium is a publicly owned and operated facility which is unique and critical to the downtown and city economy,” the city saff report stated. Toderian said that the BC Place model is one that is unlikely to be replicated in other parts of the city. “It’s certainly different than the livability we’ve stressed elsewhere,” Toderian said, explaining that the common notion of livability usually involves family friendly amenities. “We often say that neighbourhoods that work well for kids tend to work well for everyone.” This past May, BC Liberal premier Gordon Campbell announced the renovation of BC Place and the relocation of the Vancouver Art Gallery. Sought for comment by the Georgia Straight at that time, former Vancouver councillor Anne Roberts, who chaired council’s planning and environment committee, predicted that this signalled the start of a real estate development rush in the waterfront area. “So now it seems to be – irrespective of ideas about livability and city planning, the province seems to just say, ‘Well, let’s just open her up for development and let’er rip,’ without really looking at the quality of the kind of housing that would be built around there,” Roberts said. This according to Carlito P.
This according to P. Woolley written for the Georgia Straight newspaper. Barbara Lee and her family live in the gorgeous heritage neighbourhood of STrathcona real estate, but they put up with a lot to do so. The other day, she arrived home with her two kids to find a man defecating in her driveway. Someone smashed the window of a visiting friend’s rental car to steal a GPS unit. Last week, someone stole her shoes from her backyard. Her 80 year old father’s house has been the target of several break-ins, she said. Two years ago, someone shot a bullet through it. Yes, this is downtown Vancouver’s Strathcona real estate district. “They’re creating a ghetto,” she told the Georgia Straight, referring to The City of Vancouver housing planning decisions that have concentrated social services and non market housing in the family Strathcona neighbourhood. “We have been fighting, pleading to get a city housing planner for our neighbourhood – I think they city is just starting to understand that we’re not going away.” Lee’s “we” is the Strathcona Property Owners and Tenants Association, a feisty lobby group that’s been fighting for a political voice for the Strathcona real estate neighbourhood since the 1960s. Her father, Sang Lee, is its chair. SPOTA has joined with four other community groups to make sure their voices are heart when the Vancouver City reviews the Downtown Eastside/Oppenheimer official real estate hosuing development plan in early 2009, potentially allowing for greater housing density in Strathcona as well. Together, they call themselves the Strathcona Revitalization Committee, which wants to stake claim to represent the neighbourhood, which, they assert extends from Terminal Avenue to the central waterfront real estate community. In “Strathcona 2010: A Clear Vision for Our Community,” an SRC document released on August 15, the Strathcona Revitalization Committtee, offered the City of Vanocuver its plan for a mixed income neighbourhood, inclusive of all people. Low-rise market housing in Strathcona should be built along with non market housing, it argued. Make East Hastings Street a vibrant retail hub, like West 4th Avenue, by offering encentives to businesses. Build recreational facilities. Vancouver city councillor Suzanna Anton plans to meet with the Strathcona Revitalization Committee SRC on Thursday (August 28) and she told the Georgia Straight that she strongly supports Strathcona market housing being built in what’s commonly known as the Downtown Eastside. “It would be unfortunate result should it be a neighbourhood of social hosuing only and nothing else,” Anton said, noting that Concord Pacific’s application to builtd a tower at 58 West Hastings Street across from Woodward’s saw more than 40 community groups show up at the real estate development permit board in June to argue that the real estate Strathcona site should be set aside for social housing. The City of Vancouver, she said, has committed to keep 10,000 low-income units in the East Side of Vancouver as of this point. “Everybody recognizes it is a low income neighbourhood, and it always will be,” Anton said. But just around the corner, near the Main Street SkyTrain Station, the five swish CityGate condo towers once offered the same promise of revitalization for the neighbourhood. However, the building’s eastern border, along Main Street is still a dusty, isolated stretech. As Downtown Eastside Strathcona real estate city planner Jessica Chenpointed out, there’s plenty of real estate developer interest in the neighbourhood now, after about 20 dead years. The V6A and Ginger condo projects, both near CityGate are under construction. The once affordable Strathcona real estate neighbourhood’s heritage homes have been priced at more than $1 million. Plus, Oppenheimer Park is getting “revitalized” as of early 2009. Chen said she’s aware that changes in each part of Vancouver’s heritage districts – Chinatown, Gastown, STrathcona, and the Downtown Eastside, affect the others. How will real estate Strathcona city housing planners ensure that the streetscape of East Hastings is more virantthan the area around CityGate? “There’s no one approach,” Chen said. “The key important improvement is only going to come when this neighbourhood planning is part of a larger strategy. The drug issue and affordable housing are national issues. We need to make sure our work is connected with other levels of government.” Chen promised that the Strathcona Revitalization Committee, along with other groups, will be included in making arrangements for next year’s review of the Downtown Eastside / Oppenheimer official real estate housing development plan. Now in the presale phase, these Westside Vancouver townhouses at Classix Townhomes for sale are now having their grand opening! Open Saturday and Sunday between the times of 1-5pm, you can now see the pre-sales Vancouver Classix Townhomes for sale at 15th and Oak Street. The offering at the pre-construction Classix Townhomes in Vancouver Westside real estate market includes only six brand new classic townhomes with chic, modern interiors and open plan living. The presale Vancouver West Side homes at the Classix townhouses offer three levels of interior space with two bedroom plus den and two bath residences. These Westside real estate townhomes at Classix Vancouver presales offer nine foot ceilings and first class high-end finishings, better then most if not all other offerings on Vancouver West Side property market. With stylish bamboo flooring in the main living areas, in floor radiant heating and skylites on the top floor for added natural light, the presale Vancouver West Side Classix Townhomes also provides designer tilework and fine fixtures just to name a few of the interior finishings. The sleek modern kitchens with Cesar Stone counters and fisher-Paykel appliances in addition to undermount sinks are geared towards chefs and entertainment space. The pre-sales Classix Vancouver townhomes Westside residences also have huge attached garages and front patios. The kitchen deck at the Classix Townhouses in Vancouver Westside real estate offer gas BBQ hookups and city views as well. With top quality construction and the 2-5-10 year warranty, you cannot miss the grand opening for these preconstruction Vancouver townhomes at 15th Avenue and Oak Street. The Vancouver Westside property is located just steps away from highly ranked schools, parks, South Granville retail district, Cambie Street and Broadway shopping and many restaurants. The actual physical addresses of the West Side Vancouver Classix townhomes are 950, 952, 954, 956, 958 and 960 West 15th Avenue Vancouver BC. The price ranges for these presale Classix Vancouver Townhouses is between $748,000 and $798,000. for more information about the Classix Vancouver West Side property, please contact Bob at 604.263.2823. Located just one block east of Oak Street on 15th Avenue in the Vancouver West Side real estate market, Classix townhomes is an intimate offering of only six two bedroom Tudor style pre-sale townhouses and a rare opportunity to purchase a brand new townhome in Vancouver’s popular Fairview Heights neighbourhood. Floor plans for the pre-construction Westside Vancouver Classix Townhomes range from 1200 to 1270 square feet. Feature at the Classix Homes range from in floor radiant heat, attached grages plus generous decks and patios. For more information about the Classix pre-sales Vancouver Fraserview Heights homes, please call 604.263.2823 for a private showing. 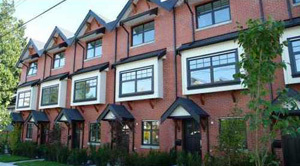 South Main Townhomes or the SOMA townhouses in Vancouver’s real estate market are presented by MacDonald Realty. With a small boutique and intimate collection of pre-sales townhomes that are contemporary, quality built and impressive in finishings, now is the time to purchase your pre-construction SOMA Vancouver townhome. There are only nine for sale and with entertainment style chefs kitchens and spacious floor plans, the presale Vancouver SOMA townhomes cannot be missed. Located at the Quebec Corner (N/E corner of Quebec ant East 15th west of Main), the pre-sales SOMA townhouses in Vancouver real estate market are having their grand opening right now. You can visit them over the weekend from 2-5pm or you can call for a private appointment at 604.613.1506. The one bedroom and den SOMA Vancouver condo homes start from $499,900. the two bedroom condominium suites at SOMA start from $589,900 plus GST. 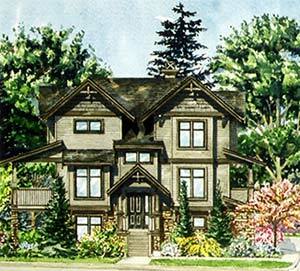 Located in the Mount Pleasant real estate district of central Vancouver property market, the new Quebec Corner townhouse development is sure to please any family or couple. With a selection of only nine townhouses for sale, the new Vancouver Quebec Corner Townhomes have contemporary style and spacious interiors that are suitable for growing families and with an impeccable location close to amenities, urban conveniences and transportation routes. The newly completed Mount Pleasant Quebec Corner townhouses for sale range in size from eight hundred and fifty four square feet all the way to one thousand two hundred and sixty nine sq ft and the sales centre is now located at 3086 Quebec Street in Vancouver real estate market. The Quebec Corner townhomes in Mount Pleasant real estate district will range in price from the mide $500k to the mid $700k range. The latest Vancouver real estate development to change the face of the up and coming Mount Pleasant community, the new Quebec Corner townhomes are designed by b2architecture inc. and interiors are by the world renowned Christina Oberti Interior Design who puts an arts and craftsman home architecture blending it with a contemporary flair. One block off of Main Street in central Vancouver, the Quebec Corner townhouses for sale represent a new hip and urban demographic who are looking for a centrally located family friendly neighbourhood close to shops, dining, transportation and recreational options. At Quebec and 15th Street in Vancouver’s Mount Pleasant real estate community, these homes by Summit Development are electrifying and this project represents their biggest multi-family development. The original site of the new Quebec Corner Mount Pleasant townhomes was an old four plex residential building and of the nine available pre-sale Vancouver townhouses, three are already sold in the pre-construction phase. This leaves six new opportunities for purchase. 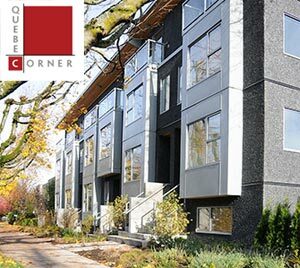 The Quebec Corner new townhomes in Vancouver’s Mount Pleasant community will definitely stand out amongst a older heritage area with modern architecture, large windows, metal balcony railings and attractive wood soffits. There are private garden spaces and outdoor areas for many floor plans here at the new Mount Pleasant Quebec Corner townhome development and according to the developer, this is definitely not your typical condo development in Vancouver. Style, architecture and spacious living are just some things that stand out here at this new Mount Pleasant townhome development that will be self managed strata so that the strata fees for the new Quebec Corner residents will remain low (estimated to be between $140 to $200 per month only). With a price point that is affordable for families and even first time home buyers, this centrally located Vancouver Quebec Corner townhouse development is sure to sell out at completion. Right now, occupancy is slated for the end of the year and you will be able to enjoy your new home before the New Year. Some of the impressive interior features of the new Vancouver Quebec Corner Mount Pleasant townhomes for sale include fashionable quartz counter tops, radiant in floor heating, nine foot over height ceilngs, vaulted ceilings and skylights. In addition, the interiors of the new Mount Pleasant townhouses will have laundry rooms, luxury carpeting and porcelain tiling (large format) in addition to real bamboo hardwood flooring. The kitchens will have stainless steel appliances and wenge custom cabinetry in addition to glass backsplashes and breakfast bars. Your purchase of a new home here at the Quebec Corner Vancouver townhomes for sale will include one secure parking spot. For more information, you can visit their sales centre located at 3086 Quebec Street in central Vancouver real estate market and they are open weekends from two through five and appointments on week days. You can view more information online at the Quebec Corner web site at www.quebeccorner.com. Call 604.805.1804 for more information or email info@quebeccorner.com. Welcome to South Main real estat district! Find your new home in Vancouver’s most vibrant community of South Main Street, defined by a rich blend of urban culture and heritage architecture here at the Quebec Corner new townhouses for sale in Mount Pleasant district. Take stroll down Main Street on a Sunday afternoon. Whether shopping for antiques, the latest fashions from Vancouver’s top boutiques or simply a relaxing cup of coffee in one of the neighbourhood’s many cafes in Mount Pleasant real estate district in Vancouver, you’ll enjoy discovering all this South Main neighbourhood has to offer. Some of the grand features here at the new Vancouver Quebec Corner town houses include natural gas bbq connections, storage space, built in closet organizers, wiring, central location, Rainscreen technology, home warranty, solid core doors, underground parking, bike storage, security alarm systems, modern building exterior, and much more. Some of the floor plans here at the South Main Quebec Corner condominiums include two bed and two bath two level private balcony suites with 1055 sq ft, to three level, two bed and two bath plus den townhomes (rear facing) at 1269 sq ft in size). An end unit here at Quebec Corner South Main townhomes is a 2 bed and 1 bath unit with flex room with front and rear private balconies at 769 sq feet in size.